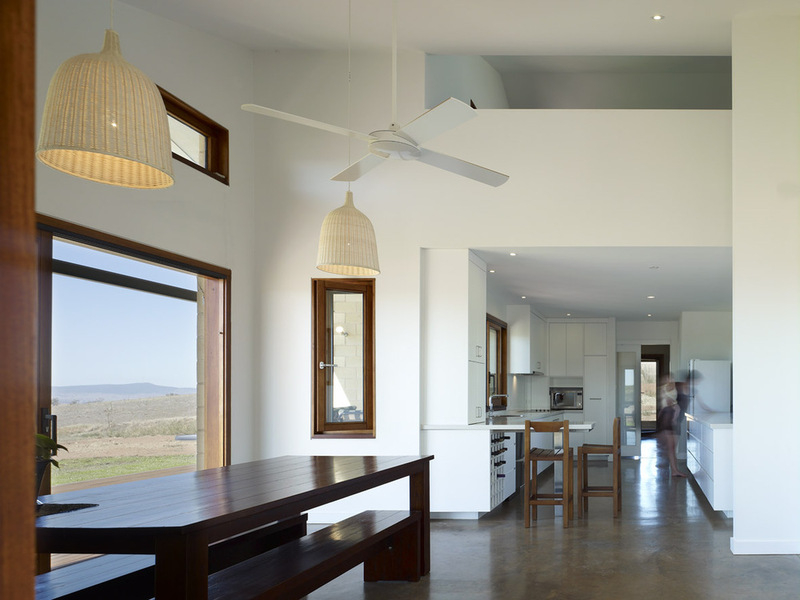 Airies is a family house on a wheat and sheep farm in south western NSW. 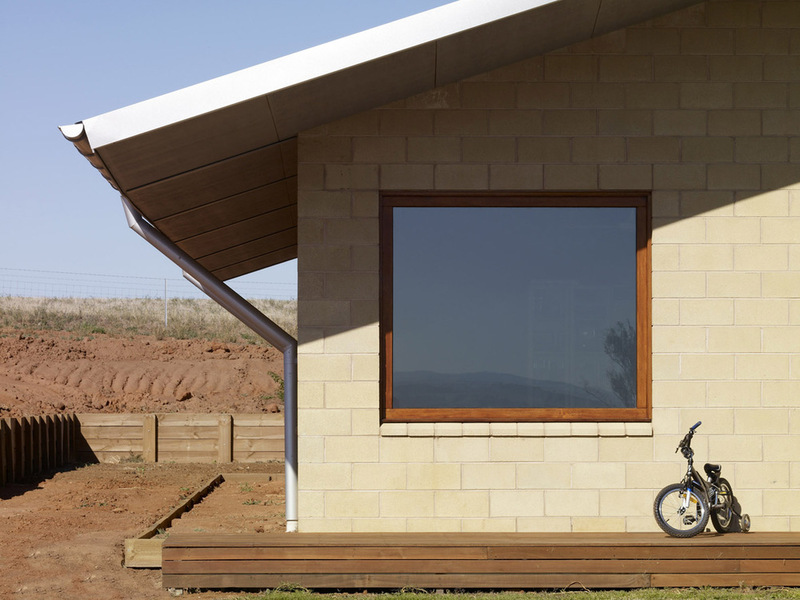 This rural house design seeks to make shelter in very traditional ways; a series of enclosed courtyard spaces, a big agricultural roof, a site in the saddle of the hills, framed and controlled views of the endless sky and landscape around it. 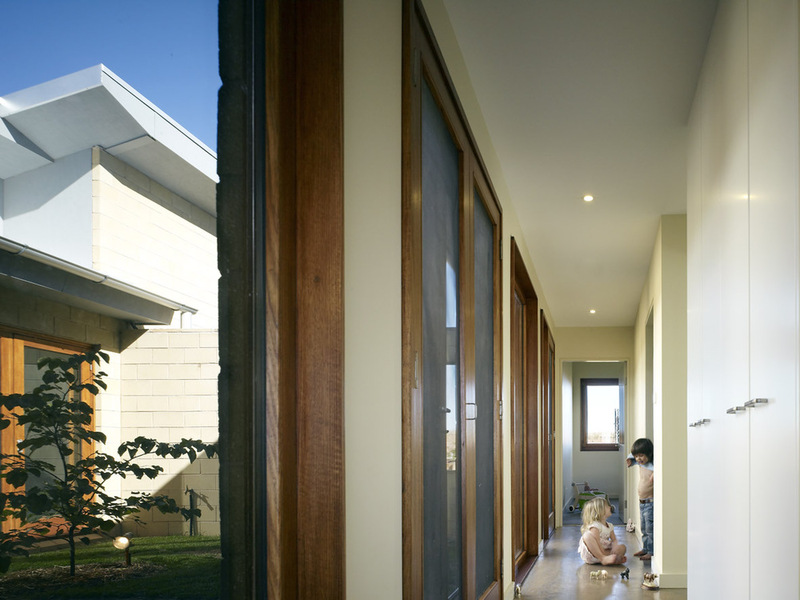 The house incorporates hydronic geothermal heating and cooling, optimum orientation, natural ventilation and use of thermal mass and is being post occupancy tested by the UNSW Faculty of the Built Environment. The results so far are very positive and well beyond the predictions.